Which Team GB Athletes will be the Stars of the Paralympics? 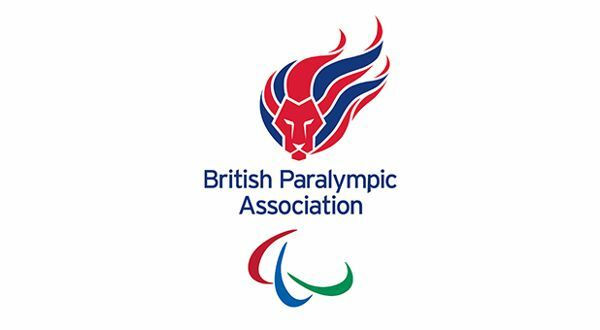 With the Paralympic Games set to take place from 7 – 18 September, we don’t have long to wait to see Team GB’s elite athletes in action. So which British Paralympics Champions could be on the podium in 2016 and how many medals could they win? Britain’s Paralympic athletes won 120 medals in London four years ago and finished in third place overall. In January 2016, the BBC reported that UK Sport believed our athletes were capable of achieving some stunning results in Rio too. Some people were even predicting they could surpass their London record and put in as many as 124 medal-winning performances. Whether that’s achievable or not, there’s no doubt that we have some talented team members. Our Paralympic athletics squad picked up eleven gold medals, seven silvers and eleven bronzes in 2012. This year’s team features some exceptional sportsmen and women, so they could do just as well. David Weir, for example, who will be competing in the 1500m T54 and the Marathon T54, won four gold medals in London. He also picked up two golds, a silver and a bronze in Beijing in 2008, and clinched a silver and a bronze in Athens in 2004. Aled Davies, who won a gold and a bronze in 2012 (competing in the F42 Shotput). Team GB’s swimmers clinched 39 medals at the 2012 Paralympics, and six of our gold medal-winning athletes are set to return to the pool this year. Probably the best known of these is Ellie Simmonds, who won two golds, a silver and a bronze in 2012, and took home two golds from Beijing in 2008. Ollie Hynd, who won a gold, a silver and a bronze in 2012, and took home three golds and two silvers from the 2016 IPC Swimming European Championships in May. Josef Craig, who won a gold in 2012, and two silvers in the 2016 IPC Swimming European Championships. Abby Kane who, despite being aged just 12 at the time, set a new British record for the S13 100m backstroke in the Para-Swimming trials in April. The 2012 British cycling team took home eight golds, nine silvers and five bronzes. Dame Sarah Storey was responsible for winning four of those gold medals and she’s been selected for the 2016 squad too. Neil Fachie, winner of a gold and a silver at the 2012 Games, who will be piloted by Pete Mitchell. Jon-Allan Butterworth, a triple silver medallist in London four years ago. Megan Giglia, who will be competing in her first Paralympics, having claimed two golds at the 2016 UCI Para-Cycling Track World Championships in March. The British Men’s Wheelchair Basketball team just missed out on a podium place in 2012, finishing fourth behind Canada, Australia and the U.S.A. They clinched their third back-to-back European title in September 2015, however, so they certainly have the potential to put in a medal-winning performance in Rio. The women’s team took the bronze for the fifth time in a row at the European Championships and will hoping to improve on their seventh place 2012 finish. So could Team GB achieve their best ever Paralympic result in Brazil? With outstanding athletes competing in many other disciplines too, including canoeing, archery, judo, shooting and wheelchair tennis, it’s certainly possible. Are you a Paralympics fan? Which Team GB members do you think will fare the best in Rio? Leave a comment, or tell us on Facebook or Twitter.